Continuing the crusade to bring some of the East Coast's quick-and-dirty deliciousness to our finely palated city, The Sycamore plans to open in the Mission's former Cafe Prague spot this weekend. 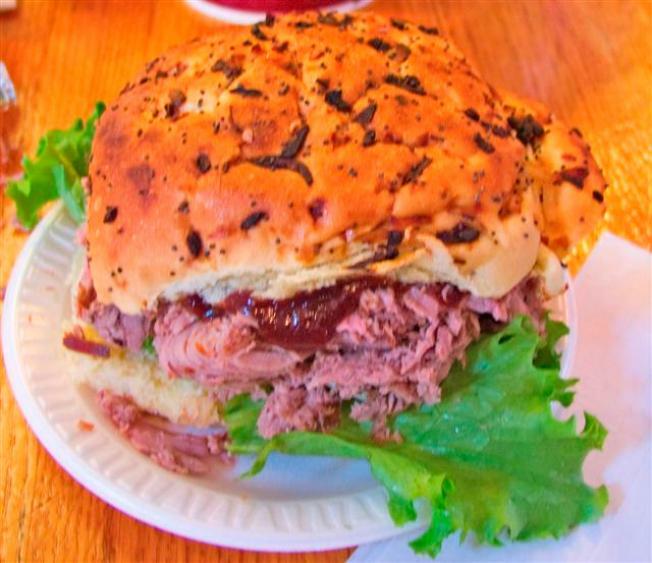 The particular style of hot roast beef sandwich indigenous to Boston's North Shore will be a fixture at the family-owned bar and restaurant, which will also offer "mix-and-match" sliders and craft beers. This meaty hot mess is a rarity in these parts, so do lob in some early reports after the joint opens.